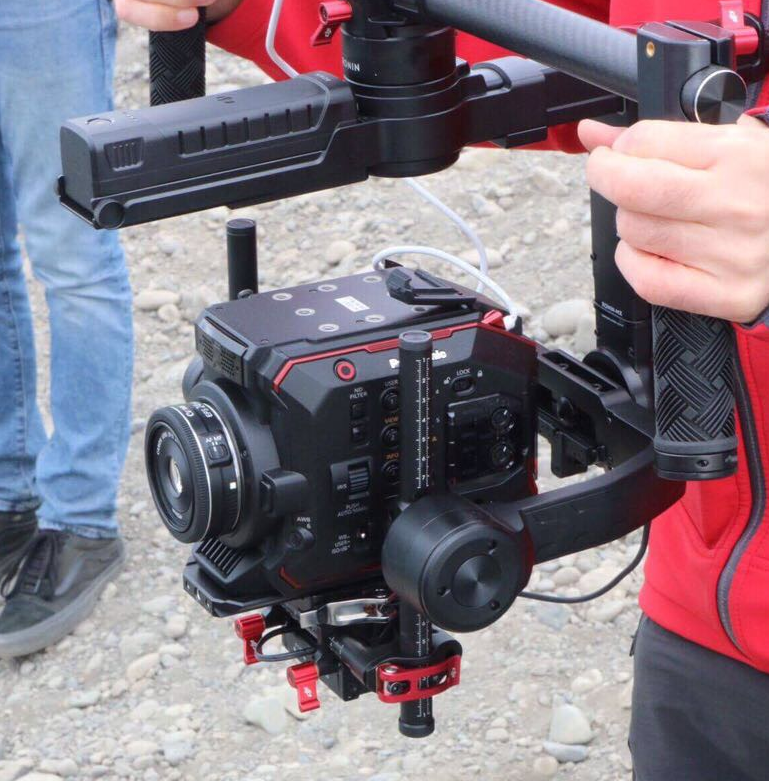 The AU-EVA1 with its 5.7K Super 35 mm Sensor is tailor-made for handheld shooting, but also for use on gimbals, drones and light Jibs. 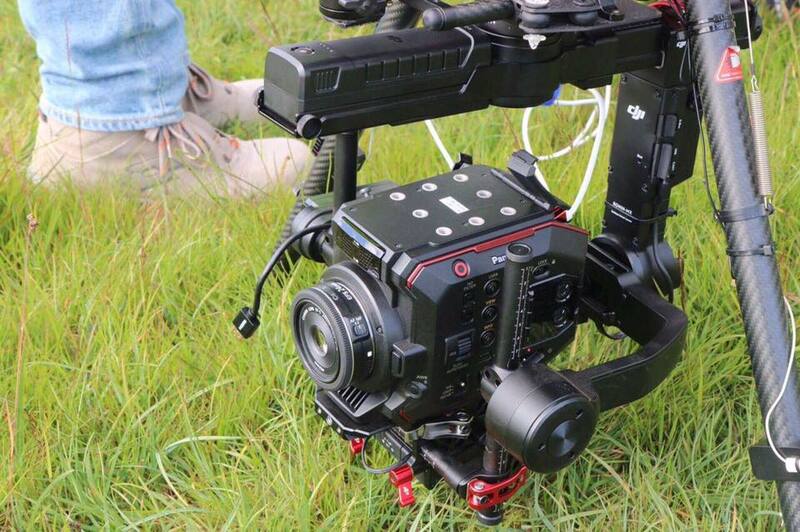 The EVA1 is well suited for independent filmmaking, documentaries and music videos as well as camera B for bigger production. Our compact and lightweight cinema camera, the AU-EVA1 contains a newly designed 5.7K Super 35mm-sized (5720x3016, approx. 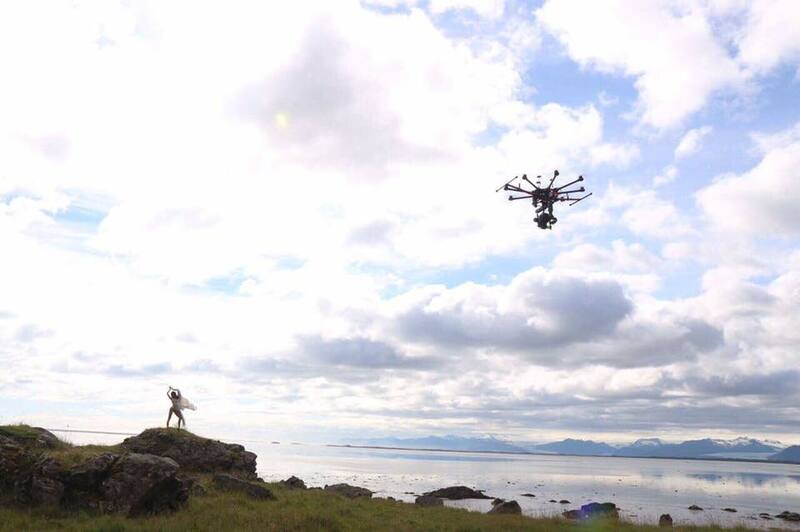 17.25 million pixels) sensor for capturing true cinematic images. By starting at a higher native resolution, the 5.7K sensor yields a higher resolving image when down sampled to 4K, UHD, 2K, and even 720p. The increased colour information results in a finer, more accurate finished image. 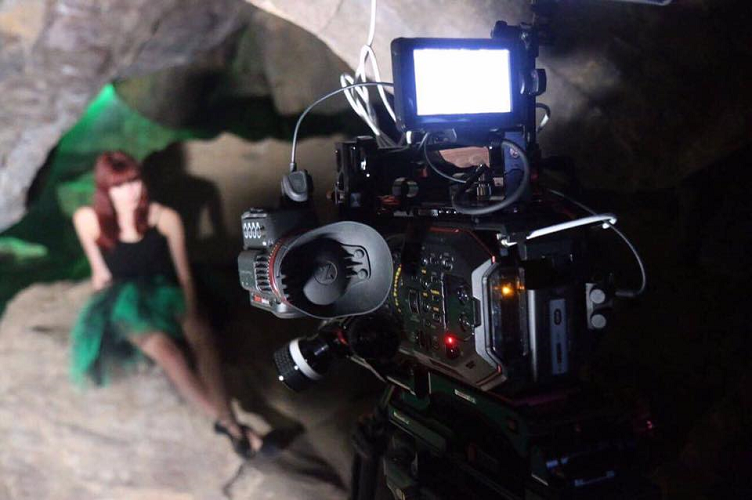 The EVA1 includes dual native ISO like the VariCam 35, VariCam LT and VariCam Pure. 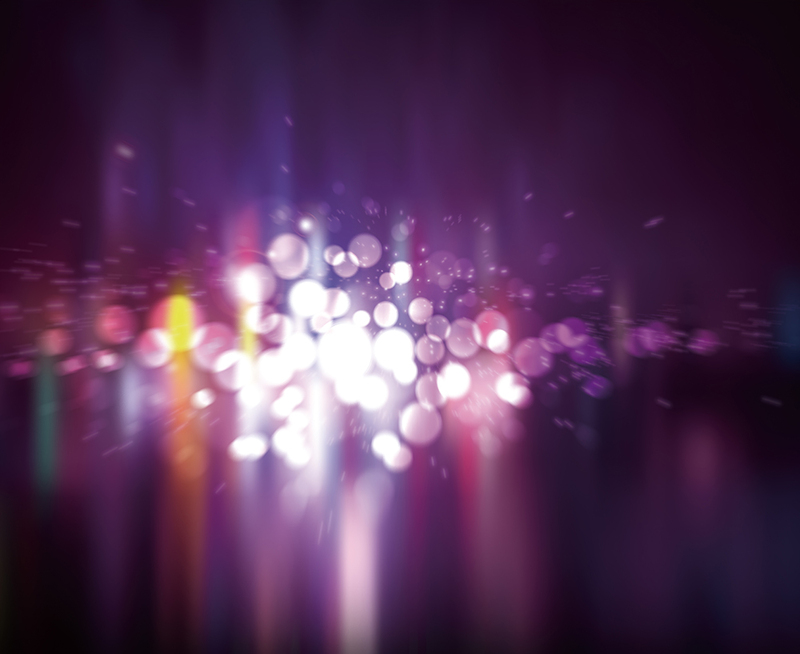 Utilising a process that allows the sensor to be read in a fundamentally different way, dual native ISO extracts more information from the sensor without degrading the image. This results in a camera that can switch from a standard sensitivity to a high sensitivity, while maintaining the same dynamic range and V-LOG curve without any electronic gain. 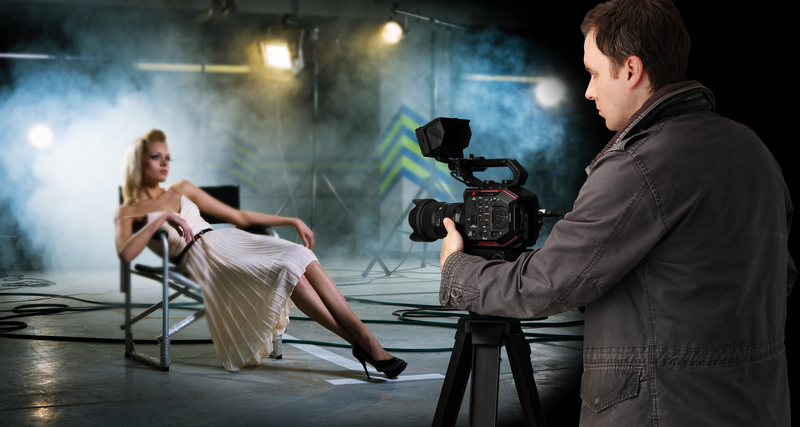 Dual native ISO is allowing cinematographers to use less light on set, saving time and money, as well as allowing for a great variety of artistic choices. 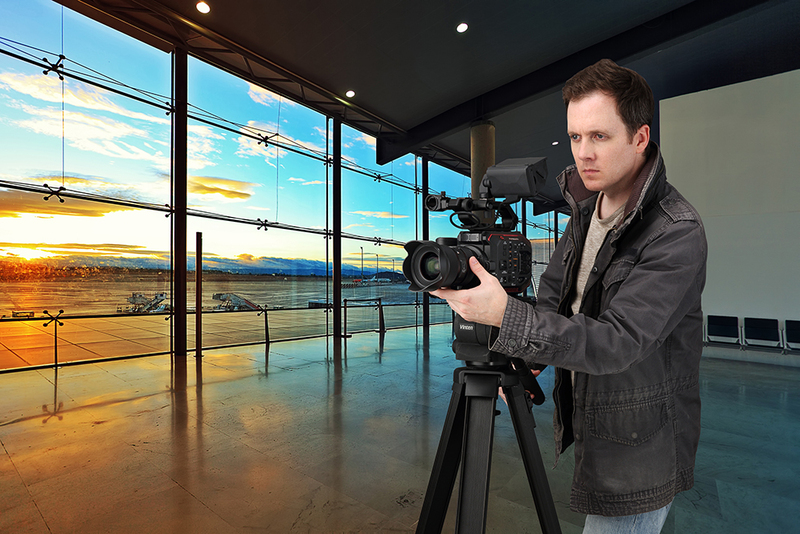 The ability to capture accurate colours and rich skin tones is a must for any filmmaker. 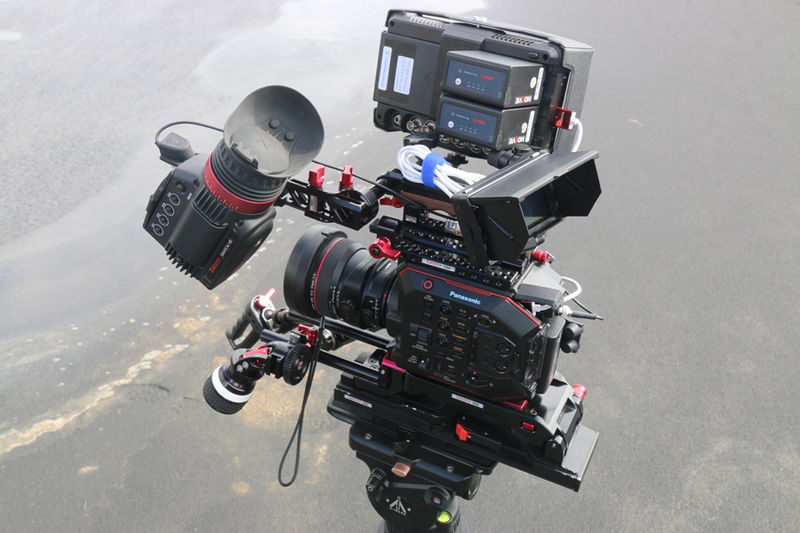 Like the VariCam lineup of cinema cameras, the EVA1 contains V-Log/V-Gamut capture to deliver broad colours with a capability of creating 14 stops of dynamic range. V-Log has log curve characteristics that are somewhat reminiscent of negative film and V-Gamut delivers a colour space even larger than film gamut and BT-2020 gamut. 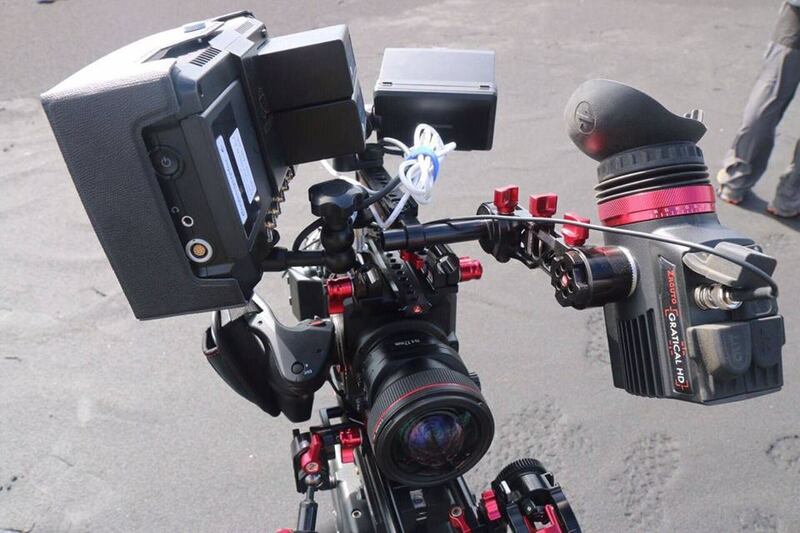 The EVA1 will also import the celebrated color science of the VariCam line. (4/3”cropped area) for high-speed capturing. 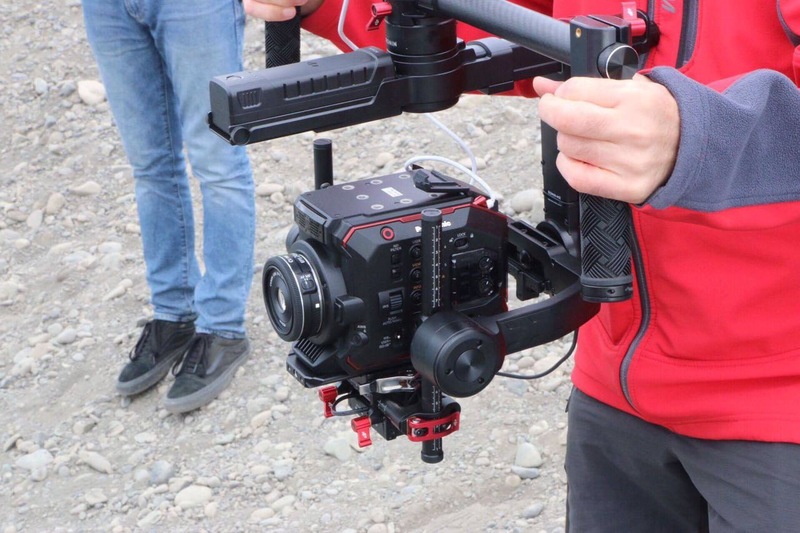 Weighing only 1.2Kg (body-only) with a compact form factor (17cm x 13.5cm x 13.3cm) and a removable handgrip, EVA1 can be used for efficient handheld shooting applications and can also be mounted on a drone, gimbal rig, or jib arm for complex yet smooth camera moves. 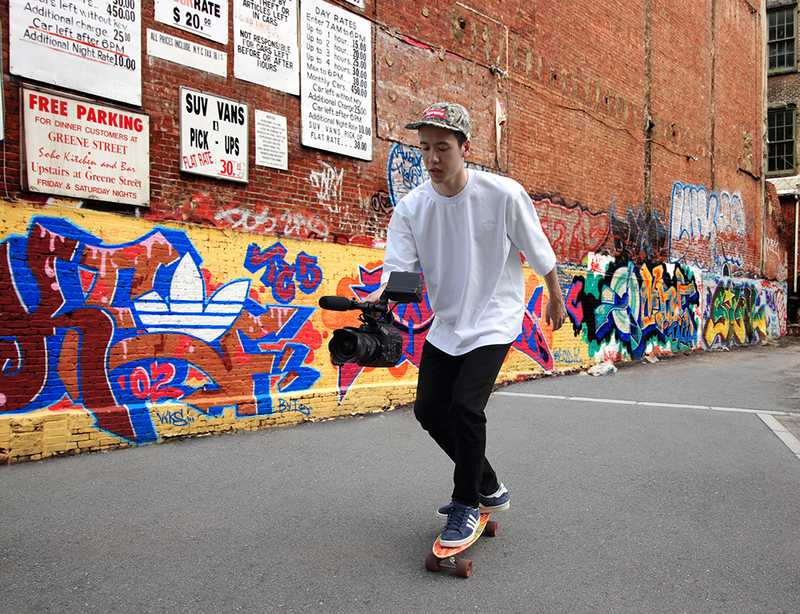 The adjustable handgrip offers several controls, including menu, REC start/stop, iris and two user defined buttons. The LCD monitor features a touch-panel function and allows flexible mounting. 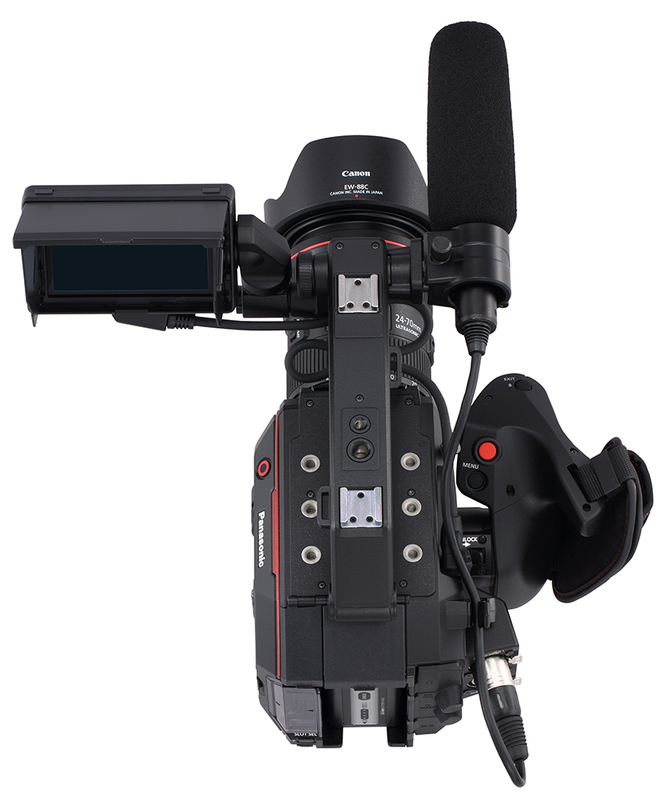 EVA1 records to two SD card slots, with the option to capture footage with Relay Rec (continuous record) or Simul Rec (simultaneous dual record). There’s also one shot record, which enables single frame video for stop motion capture. The camera utilizes a native EF-mount, giving shooters access to the broad EF lens ecosystem, including dozens of cinema-style prime and zoom lenses from numerous manufacturers. 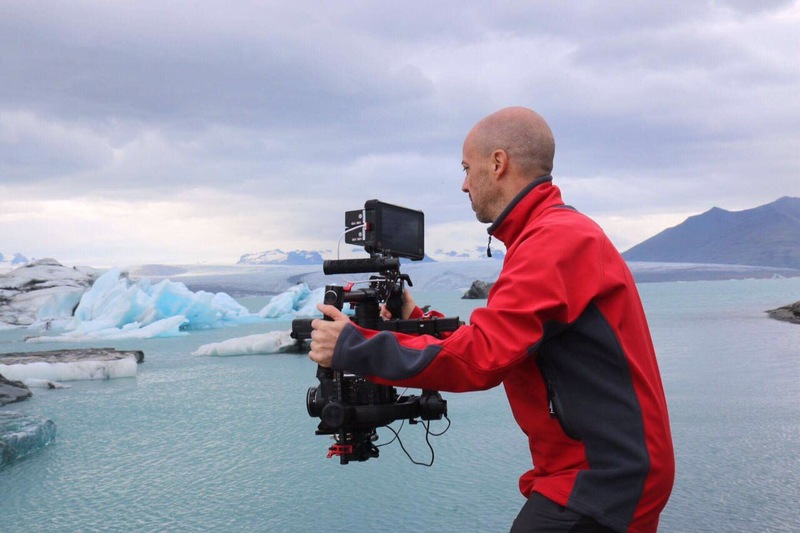 Electronic Image Stabilisation (EIS) is employed to compensate for camera shake and blurring, which will help smooth out handheld or shoulder-mount shots on documentary or run-and-gun projects. Behind the lens mount, an integrated ND filter wheel in 2, 4, and 6 stops allows for precise exposure control. 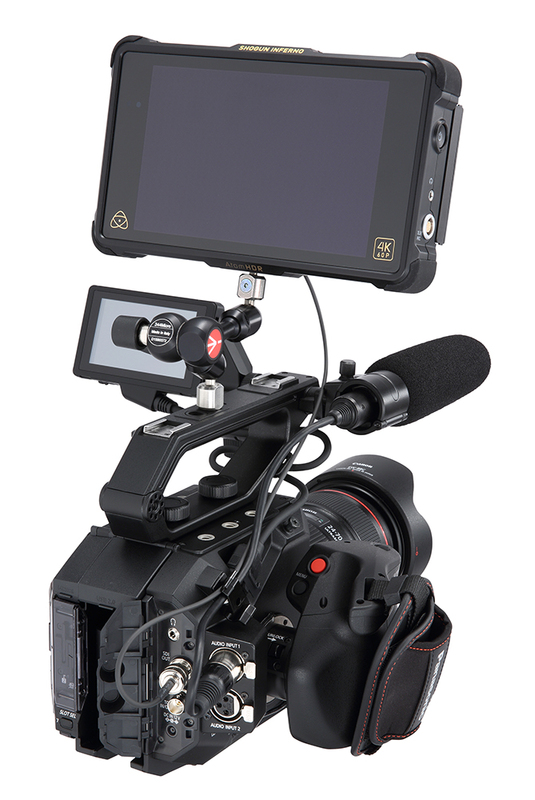 The EVA1 also allows the IR Cut filter to be swung out of the path to the sensor at the push of a button. Unique photographic effects and night vision imagery are possible with this control over infrared. As a professional video production tool, the EVA1 offers dual balanced XLR audio inputs with Dolby Audio™ * encoding. 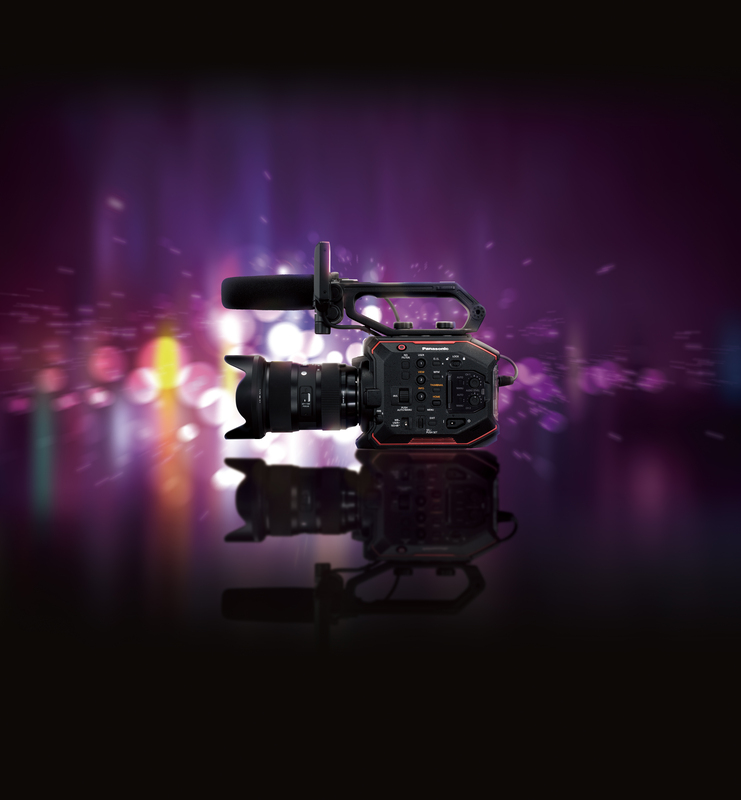 4K-capable video outputs in both HDMI and SDI. 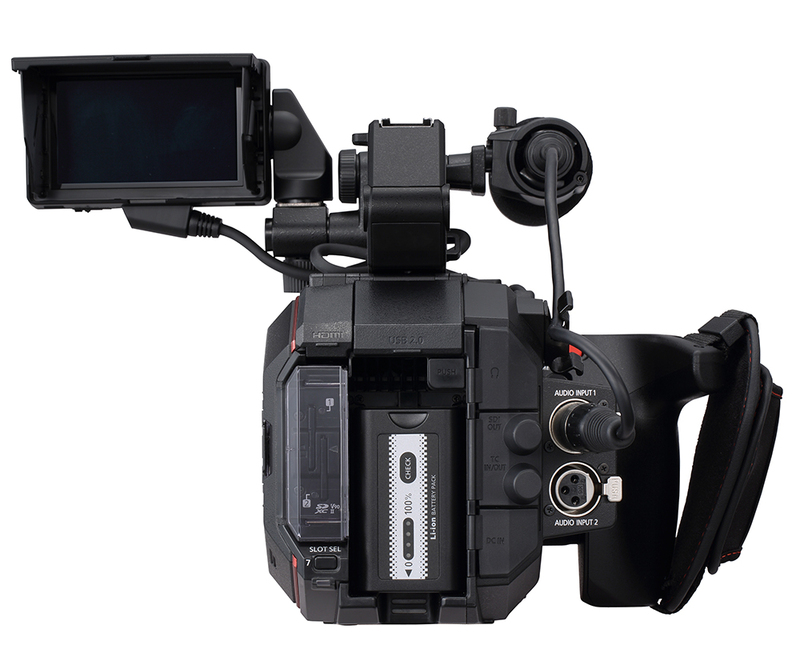 where each can be adjusted separately, allowing HD to be fed to a viewfinder or other third party monitor while 4K is sent to an outboard recorder or monitor. 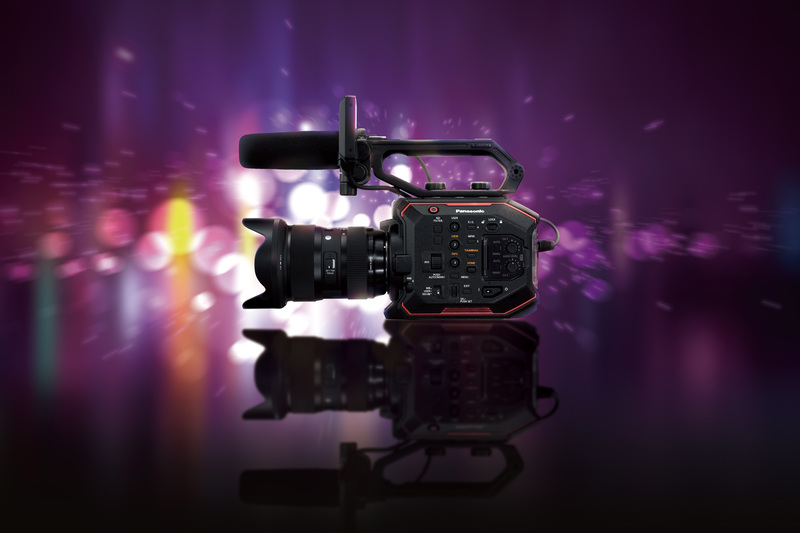 Timecode In/Out is also supported on the EVA1 unlike some other cameras in its class. With the addition of the AJ-WM50 WiFi adapter, all EVA1 menu functions can be controlled remotely on IOS or Android using the dedicated app. * Dolby, Dolby Audio, and the double-D symbol are trademarks of Dolby Laboratories. 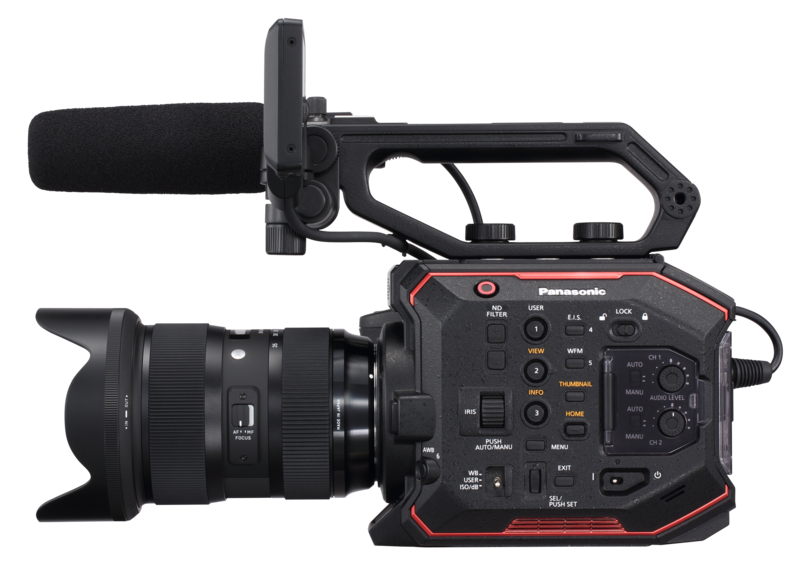 Panasonic has redesigned the rotation mechanism in the removable hand-grip of its new AU-EVA1 compact cinema camera. 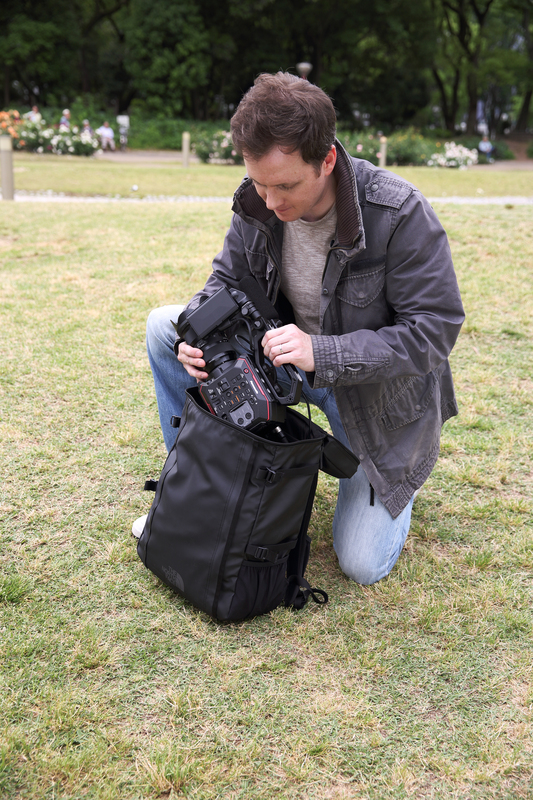 This has raised the torque-stress limit of the grip from the original design to support a greater amount of accessories in addition to larger lenses. To find out more click here. 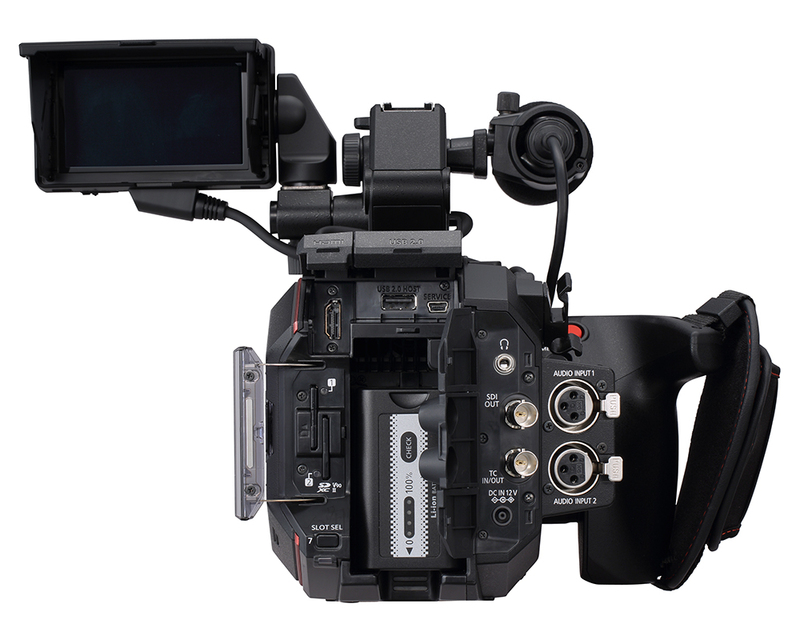 Warning: the LCD connector must only be used for a Panasonic AU-EVA1 LCD. Inserting the connector of any other device may cause damage to the camera and the device inserted. Damage caused in this way will void warranty. 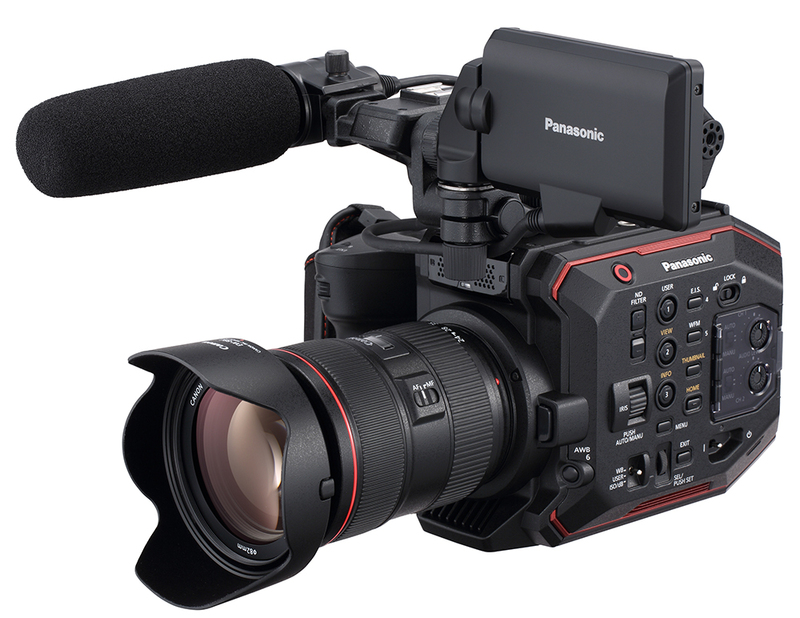 Corporate film company, Wise Guys, has taken on the EVA1, Panasonic’s latest compact cinema camera, to streamline its production process, so it is now able to use just one camera for all its filming needs. The migration of grey geese that travel in huge flocks from the Arctic is a breathtaking and magnificent spectacle of nature. Their journey of thousands of miles starts in northern Eurasia and takes them many weeks, after which they eventually reach their destination: Western Poland. Zeppelin TV has produced a new Movistar+ dance talent show of a unique cinematic style, achieved with the Panasonic VariCam LT. This was accompanied by AU-EVA1 and the AV-HS6000 production mixer. We met cinematographer Patrick A. Stewart at the Camerimage 2017 in Bydgoszcz and had the pleasure of talking to him about his experience with Panasonic’s VariCam. Looking for change Stewart came across the VariCam LT, which he decided to used for the Netflix TV series Arrested Development. 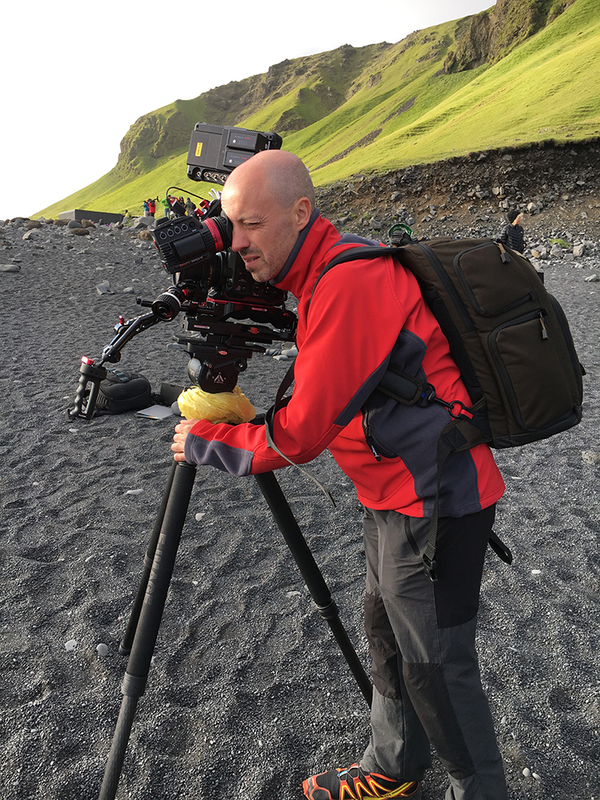 Find out why he opted for the VariCam LT and what shooting was like with the digital cinema camera in this interview. More interviews coming out soon, so subscribe to not miss them. Panasonic presents the brand new "Hands On" series for EVA1. 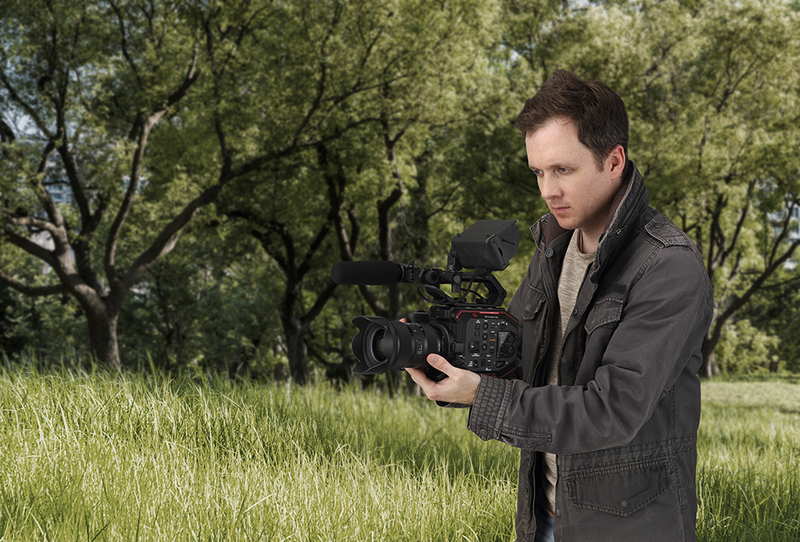 Our Product Manager Mitch Gross introduces the digital cinema camera and explains the importance of EVA1's 5.7K sensor. 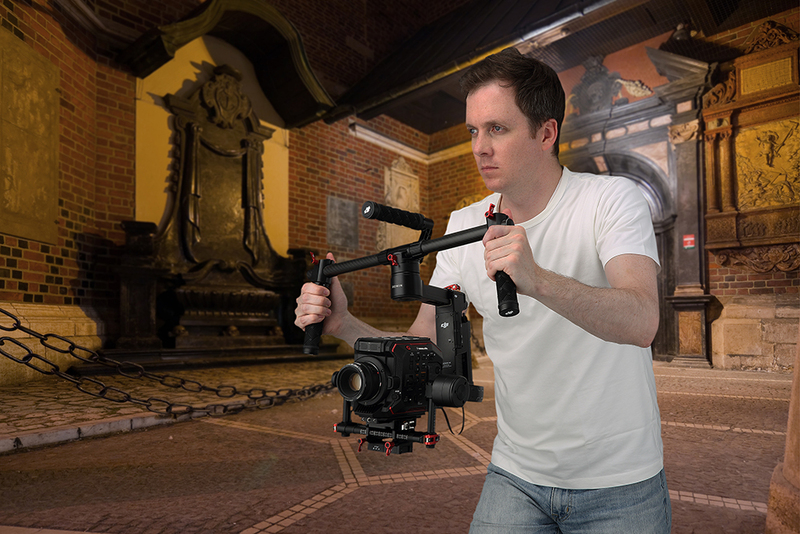 EVA1 is designed to be used in a variety of shooting situations. It is modular and has a great flexibility. 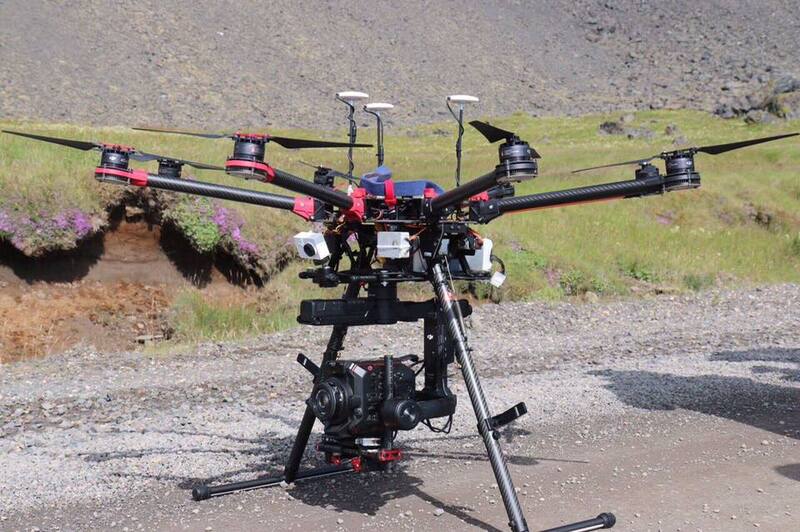 The digital cinema camera can even shed all accessories for remote operations. 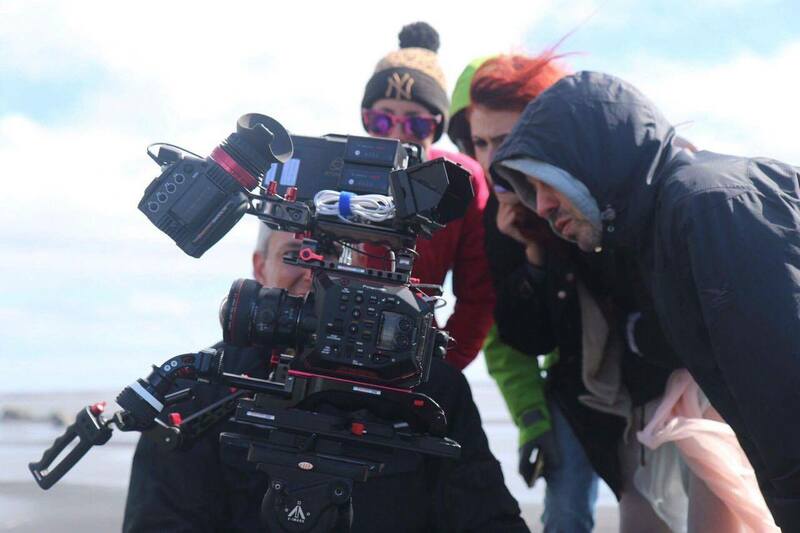 Cinematographer Cristian Ceoroiu shares his experience while filming "Orpheus" with a Panasonic EVA1. Discover how the compact and lightweight camera was ideal for the night time lighting and outside environment during the filming of “Orpheus”. 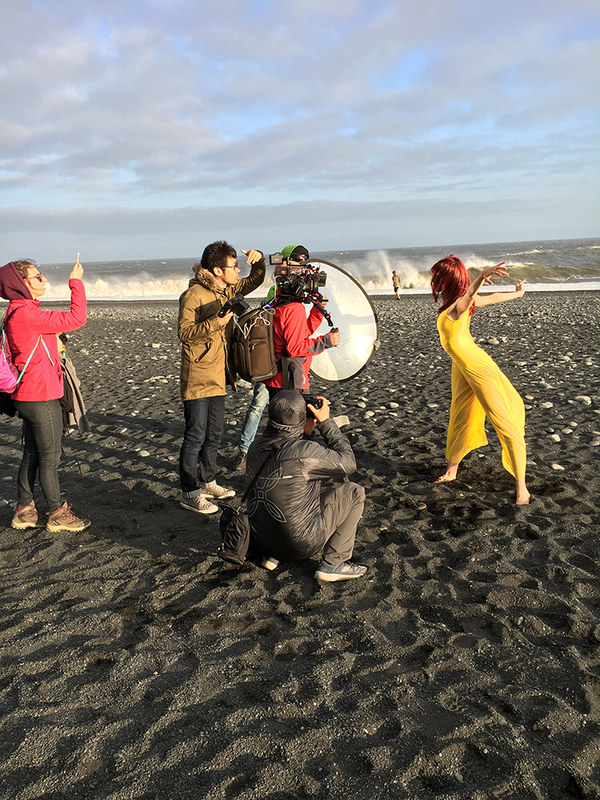 Learn more about Ceoroiu's decision to shoot with an EVA1, and what shooting was like with the top-class cinema camera. How to win the contest with the EVA1? *1: Functions to be supported by firmware update. * Dolby, Dolby Audio, and the double-D symbol are trademarks of Dolby Laboratories. * Specifications are subject to change without notice.